A warm welcome and thank you for your interest. We produce two ranges of wines, most of which have won either gold or double gold awards in both South Africa’s and international top wine award competitions. 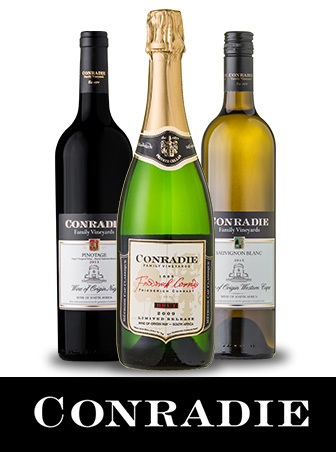 Our existing Conradie Family Vineyards range consists of mainly single noble variety white and red wines including our award winning 2008 and 2009 Frederick Conrady Method Cap Classique sparkling wine and our 2009 Red Muscadel. 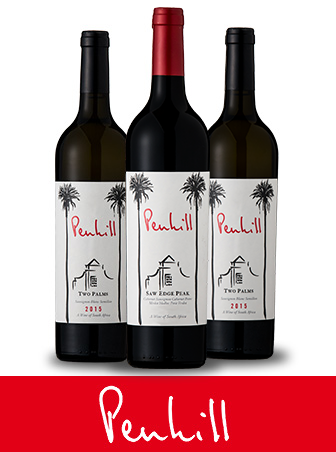 Our new Penhill range, launched for the first time in September 2015, consists of two blended varietal wines, one premium white blend wine and one premium red blend wine. 1. Direct Sales and Delivery of our Award Winning Wines – at our cellar and to any address in South Africa and the UK mainland, Ireland, Offshore Islands and Europe. 2. A UK and European Cellar Direct Service – offered at our cellar in South Africa to facilitate the convenient and efficient ordering and delivery of our wines to visitors’ homes or businesses on their return to the UK and Europe. 3. Masterclass and Tutored Educational Tasting Events – presented by our award winning partner and winemaker, C.P. Conradie, in South Africa and in the UK, Europe and other international markets. This is to facilitate a greater customer and consumer understanding and appreciation of our wines. 4. 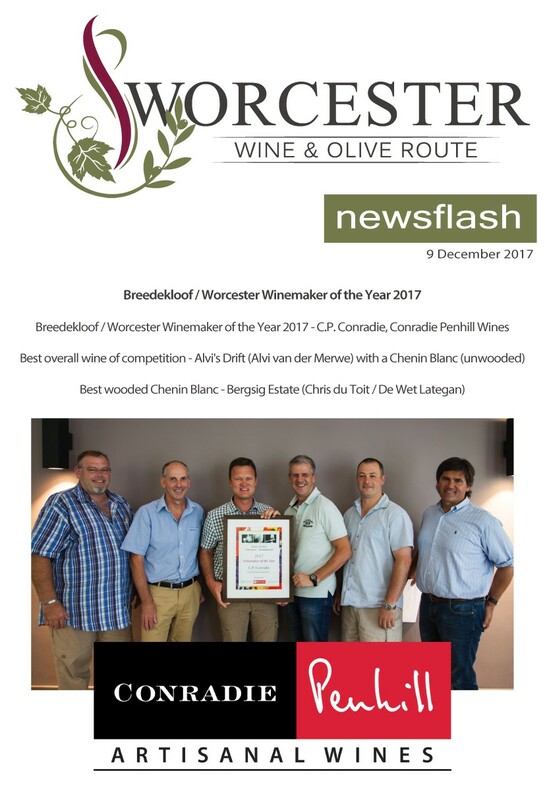 Promotional Tasting Events – to generate awareness and trial of our wines at prestigious indoor and outdoor events throughout South Africa, the UK, Europe and other international markets. 5. Wine Advice – provided by our expert winemaker and knowledgeable staff to match the specific wine style and taste preferences of our customers. We hope you will explore our prestigious wine list and enjoy reading our website. We are confident that you will appreciate our fine range of premium award winning, handcrafted wines on offer, at prices that fairly reflect their quality. Should you require any assistance, please do not hesitate to contact us via any of the methods below. CT – Wine Concepts, Cnr. Kildare Rd. & Main Street, Newlands. Tel: 021-6719030. JHB – Liquor City, 359 Cnr. Jan Smuts & Rutland Ave., Craighall, Tel: 011 781 0969. Durban – Meander Fine Wines, Piggly Wiggly Centre, R103, Tel: 033 234 2913. Hermanus – Wine Village, Hemel en Aarde Road, Hermanus, Tel: 028 316 3988. Knysna – Olive Tree Restaurant, 21 Main Street, Knysna, Tel: 044 382 5867. Plettenberg Bay – Baillies, 29 Main Street, Plettenberg Bay, Tel: 082 553 4625. Please feel free to join our mailing list to stay connected to our news, latest events and special offers. Fill in this form and we will add you to our next mailer.